This energy is produced primarily from fossil fuels such as coal, oil, natural gas as well as nuclear energy. 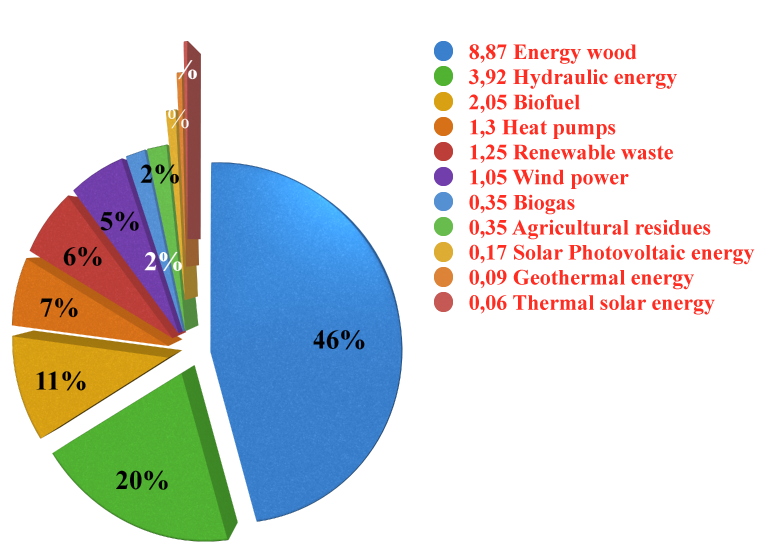 Renewable energy sources (fuels) represent only a tiny part of the energy production. Actually, energy is necessary at each stage of the industrialization process, which constitutes one of the many aspects of the energy dependence of industrialized countries. In fact, each step of the industrialized production in the energy, refinery, cement, glass, paper and other sectors, emits high levels of greenhouse gases because it is generally based on fossil fuel-fired power stations. 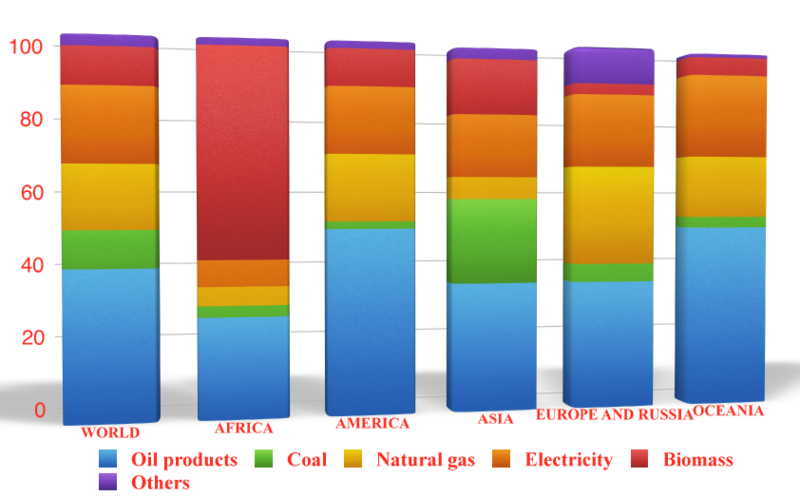 In 2011, Oil products are the world’s main energy source: 42% of the final energy consumption. 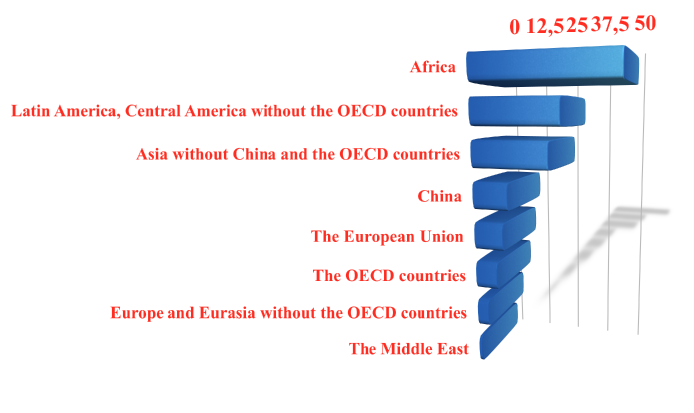 There are strong regional disparities in combination of the energy mix, but the biomass is prevailing in Africa. The portion of the renewables in African countries, is already at about 50% due to a strong use of solid biomass combined with a lower energy consumption. 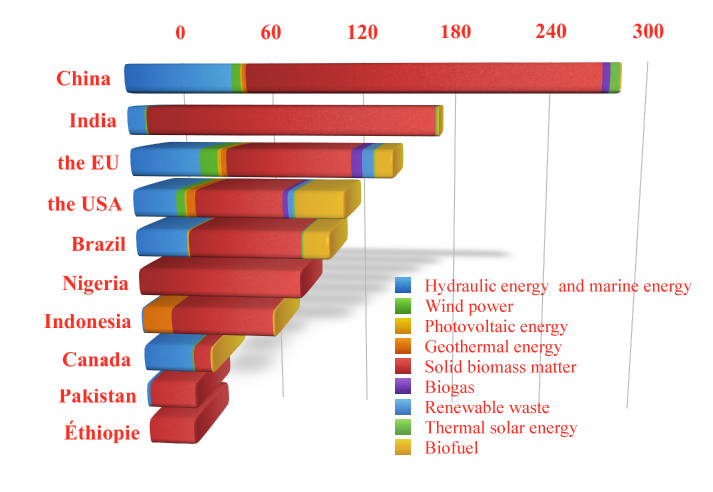 Developing countries (several countries in South Asia (India) and Africa (Nigeria)) having a relatively large population, are singled out by their large use of solid biomass. The French Ministry of the Ecology, Energy and Sustainable Development stipulates that the primary production of energy from renewable sources in France amounts to 14% of the national energy production in 2011. Wood energy represented 46%. The European Union is committed to transforming Europe into a highly energy-efficient and low greenhouse-gas- emitting economy and to reducing the EUs’ greenhouse gas emissions down to ,at least, 20% below the 1990 levels by 2020. To that end, the energy transition towards renewable energy is a condition “ sine qua non” for sustained success. In this context, using biomass as a feedstock for energy production appears to be a real gold mine – still unexploited at the moment….